It’s time for the Kroger Friday Freebie! 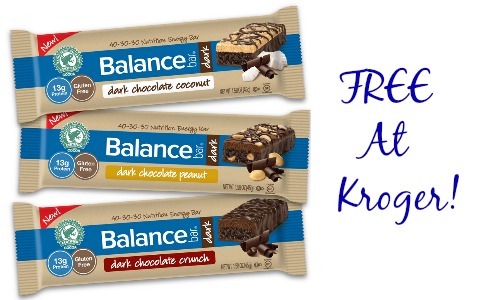 Today only, you can download a digital coupon that is good for a FREE Balance Bar or Balance Bare Bar. The coupon must be downloaded today 4/3, and you will need a Kroger account to access it. Once downloaded you will have until 4/18 to use it. These are a great snack to have on hand while on the go so pick one up for FREE next time your at Kroger.